Robert is a successful attorney who has everything in life - and nothing at all. Focused on professional achievement and material rewards, Robert is on the brink of losing his marriage. He has lost sight of his wife, Kate, their two daughters, and ultimately himself. Eight-year-old Nathan has a beloved mother, Maggie, whom he is losing to cancer. But Nathan and his family are building a simple yet full life, and struggling to hold onto every moment they have together. 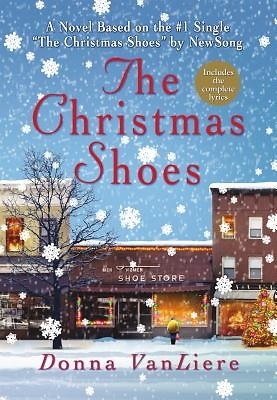 A chance meeting on Christmas Eve brings Robert and Nathan together - he is shopping for a family he hardly knows and Nathan is shopping for a mother he is soon to lose. In this one encounter, their lives are forever altered as Robert learns an important lesson: sometimes the smallest things can make all the difference. "The Christmas Shoes" is a universal story of the deeper meaning of serendipity, a tale of our shared humanity, and of how a power greater than ourselves can shape, and even save, our lives.